MADISON, Wis., Jan. 25, 2018—Comment from Bill G. Smith, Wisconsin state director for the National Federation of Independent Business, on Gov. 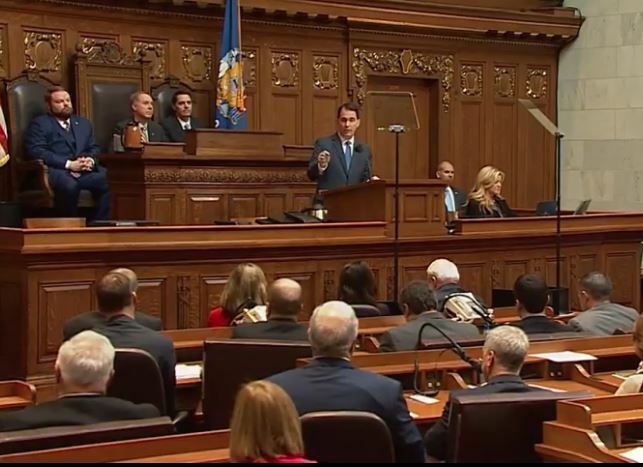 Scott Walker’s State-of-the-State address given yesterday afternoon. “Governor Walker has been a steadfast friend of small business his entire time in office, and Wisconsin’s Main Street, mom-and-pop enterprises were thrilled to hear from his State-of-the-State speech this afternoon that he has no intention of wavering one bit. In fact, he plans to keep his foot on the gas pedal of the vehicle that drives every national, state, and local economy—Small business. “Small business wants the Legislature to pass every step of Governor Walker’s Small Business Plan. Everyone in Wisconsin benefits when small business does well. I will forever remind people these are the enterprises that gave most of us our first start in our work lives, will take a chance on someone who couldn’t get past the lobby of a corporation, and are the central threads holding every community in the nation together. But it is important to point out that small businesses are not smaller versions of big businesses. They have different difficulties in remaining solvent. “I ask the members of the Legislature to pass our Small Business Plan to help even more employers grow across the state. The first step is reducing costs for small businesses. Lower taxes, streamlining regulations, and reducing frivolous lawsuits are all part of the plan. There is still more that can be done this session on ending unemployment fraud and on lawsuit reform. “The next step for small business is preparing the workforce. Our plans include investments in schools, apprenticeships, higher education, and worker training. Another step for small businesses is removing barriers to work. The plan includes ending benefit cliffs to encourage more people to work, take more hours and advance into higher wage jobs. It also includes work requirements and screening for drug use for welfare benefits, as well as adding new populations to the workforce. For more information about NFIB, please visit www.nfib.com. Follow NFIB/Wisconsin on Twitter, @NFIB_WI, or on its webpage, www.nfib.com/wisconsin.